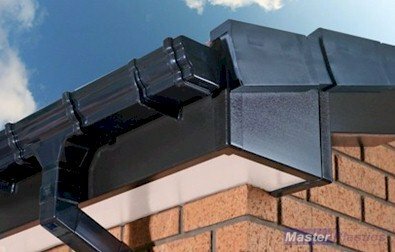 9mm cover board black fascias and soffits to cover a backing timber on a new build or when replacing rotten timber fascias, boards should be double nailed. Soffits must be fully vented when using coloured fascias. buy online we will deliver to your door anywhere in the UK. Description: 150mm Black Ash 9mm cover board 5m Fascia . To cover a backing timber on new build or when replacing rotten timber fascias, boards should be double nailed. Colour: Black Ash Dimesnions: 9mm x 150mm x 5m .. Description: 175mm Black Ash 2.5m Fascia. 9mm cover board. To cover a backing timber on new build or when replacing rotten timber fascias, boards should be double nailed. Colour: Black Ash Dimesnions: 9mm x 175mm x 2.5m + - 5mm .. Description: 175mm Black Ash 5m Fascia. 9mm cover board. To cover a backing timber on new build or when replacing rotten timber fascias, boards should be double nailed. Colour: Black Ash Dimesnions: 9mm x 175mm x 5m .. Description: 200mm Black Ash 5m Fascia 9mm cover board. To cover a backing timber on new build or when replacing rotten timber fascias, boards should be double nailed. Colour: Black Ash Dimesnions: 9mm x 200mm x 5m .. Description: 225mm Black Ash 2.5m Fascia 9mm cover board. To cover a backing timber on new build or when replacing rotten timber fascias, boards should be double nailed. Colour: Black Ash Dimesnions: 9mm x 225mm x 2.5m + - 5mm .. Description: 225mm Black Ash 5m Fascia 9mm cover board. To cover a backing timber on new build or when replacing rotten timber fascias, boards should be double nailed. Colour: Black Ash Dimesnions: 9mm x 225mm x 5m .. Description: 250mm Black Ash 9mm uPVC 5m Fascia cover board. To cover a backing timber on new build or when replacing rotten timber fascias, boards should be double nailed. Colour: Black Ash Dimesnions: 9mm x 150mm x 5m .. Description: 300mm Black Ash 5m Fascia 9mm cover board. To cover a backing timber on new build or when replacing rotten timber fascias, boards should be double nailed. Colour: Black Ash Dimesnions: 9mm x 300mm x 5m .. Description: 400mm Black Ash 5m Fascia 9mm cover board. To cover a backing timber on new build or when replacing rotten timber fascias, boards should be double nailed. Colour: Black Ash Dimesnions: 9mm x 410mm x 5m ..